-Sales permission granted by entirelycliched on 11/6/2014. -Once I ship the item I am no longer responsible. I will provide a shipping receipt if needed for lost items. -Please do not edit posts, reply to the original post instead to avoid confusion. 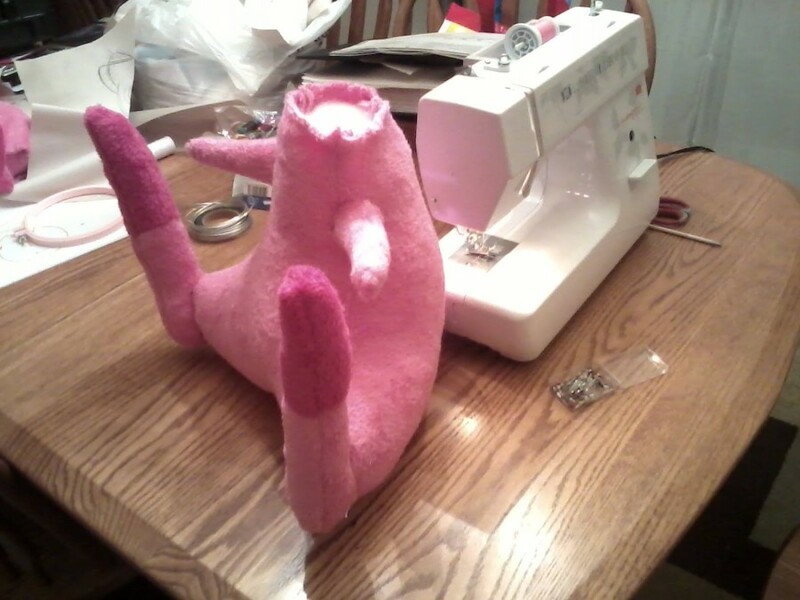 I'm trying to work on a lifesize mew plush but between my sewing machine acting up and having run out of the pink fabric I was using, I'm gonna have to wait a few days to work on the head and tail. the arms and legs are just pinned on for now, they still need to be sewn.